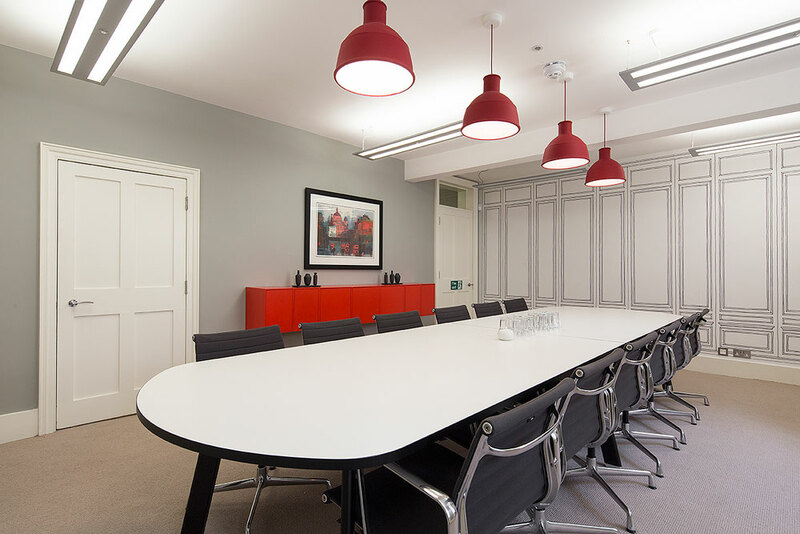 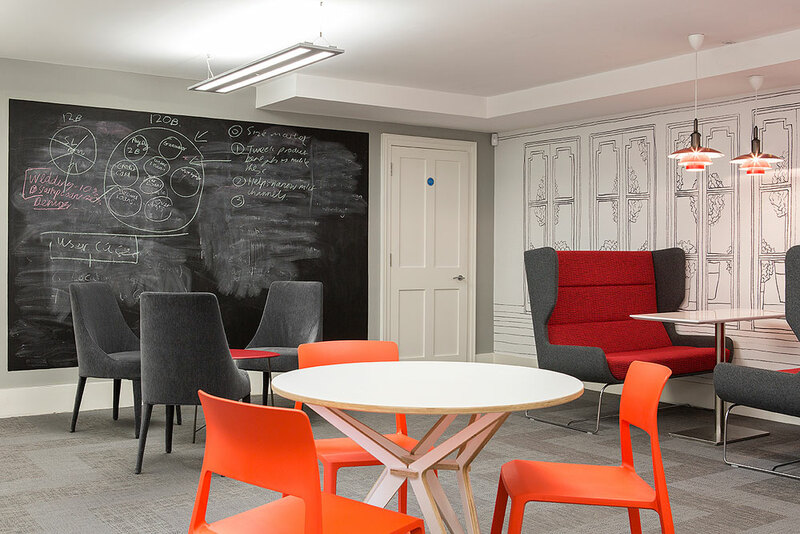 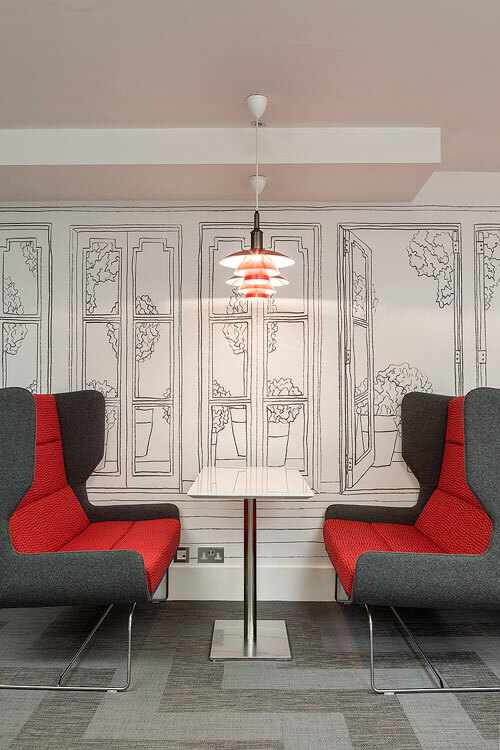 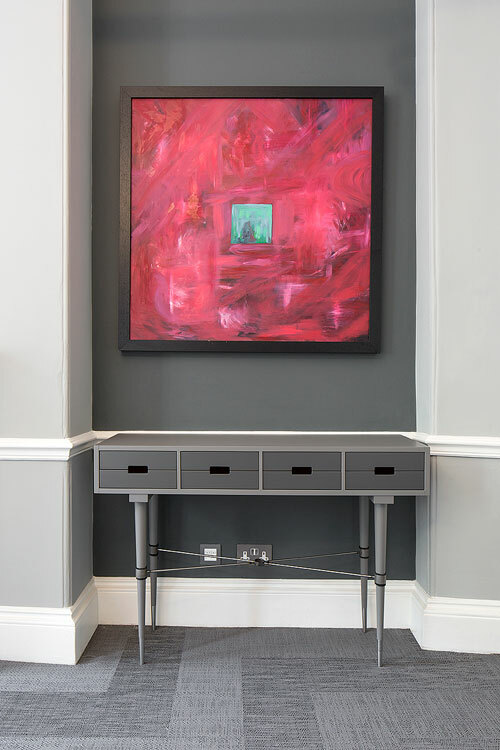 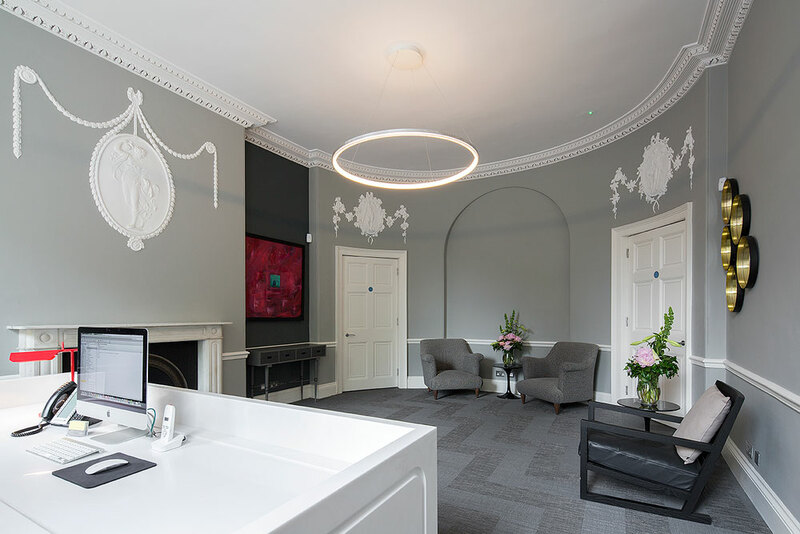 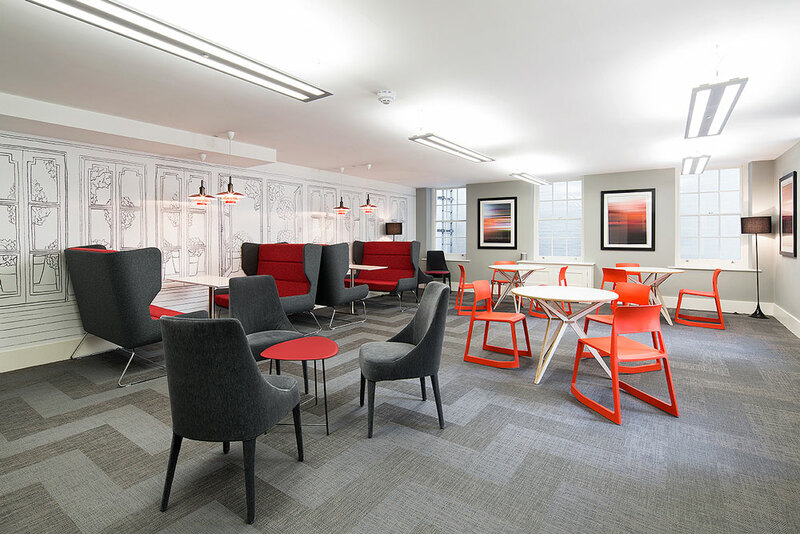 Create worked with Boutique on the transformation of this Grade I listed property predominantly to create a reception, meeting rooms and a breakout space as well as simple schemes for the office including new signage and task lighting concepts. 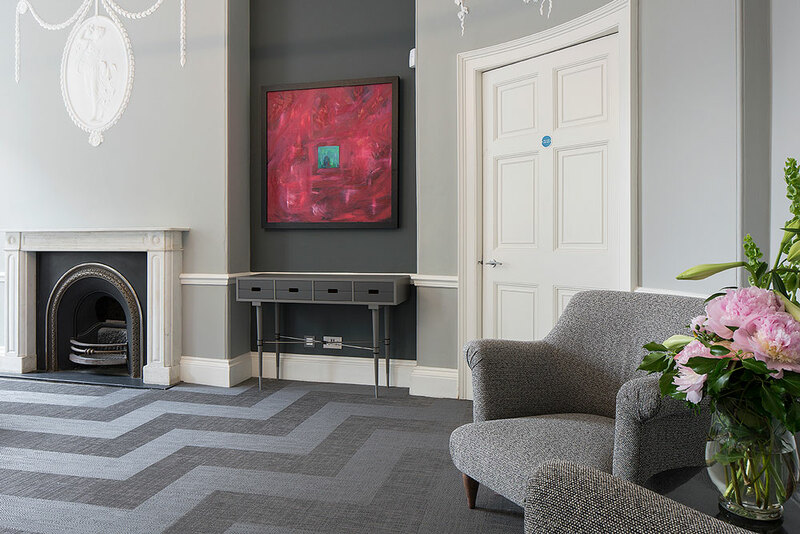 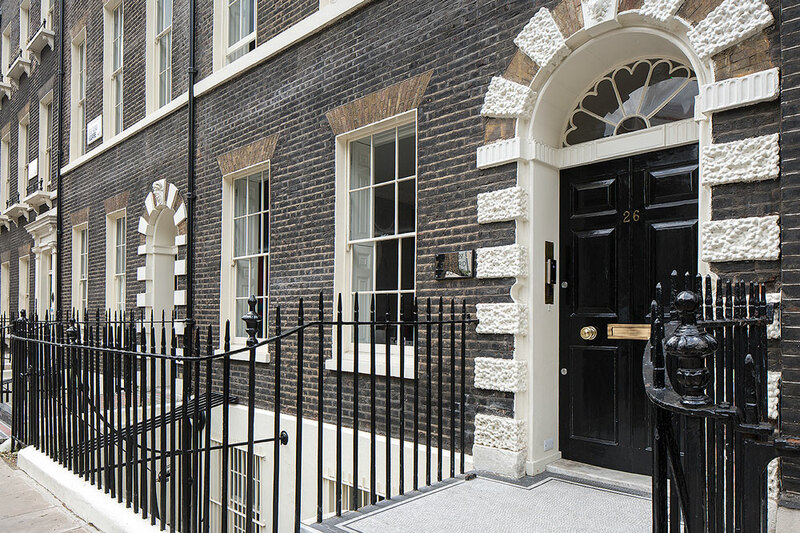 The structure was formed with two adjoining Grade 1 listed Victorian buildings and has many period features including high ceilings and original decorative cornicing. 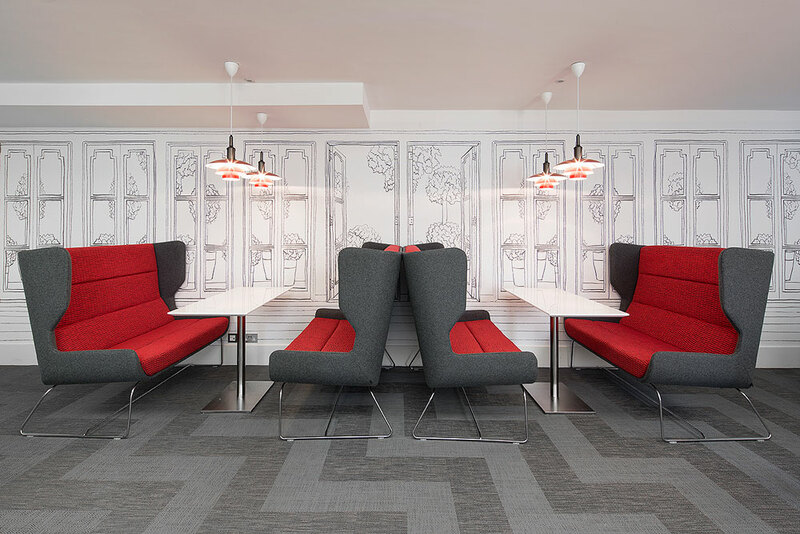 The subtle back drop of whites and greys has been accented with red features to make the space pop. 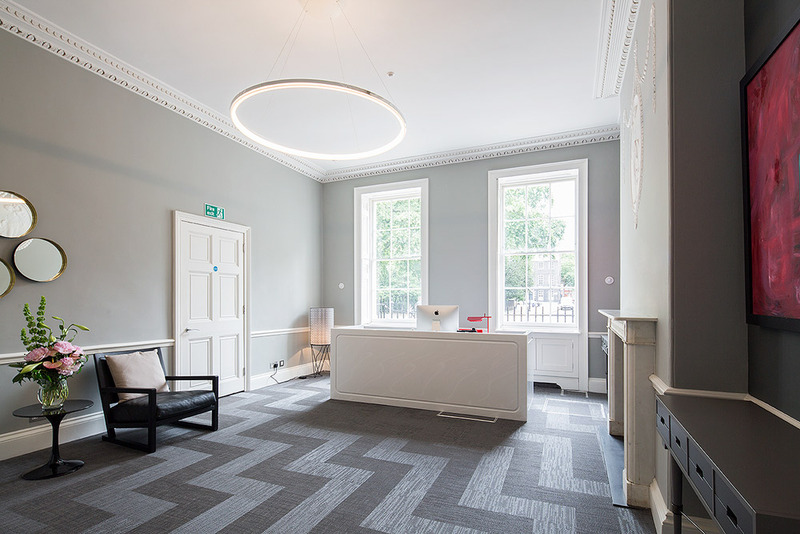 New feature flooring and lighting link the spaces together and an artwork scheme put together by create flows through he common spaces linking the building together.